Happy Fathers Day weekend, everyone! Just in case you find yourself looking for a last minute gift for the ol' man, we have a few suggestions. 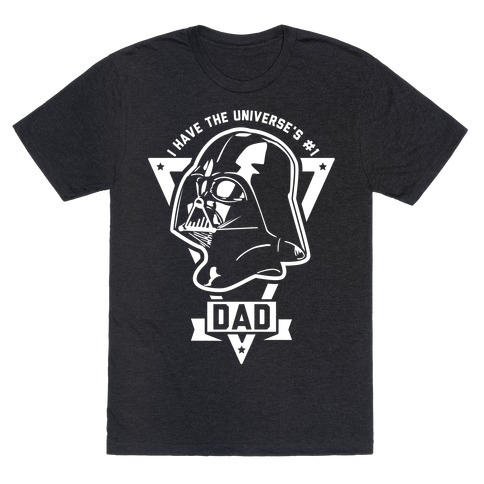 Good Idea: You simply can't go wrong with a Darth Vader t-shirt for your Darth Daddy. It's the ultimate way to show him that he is the greatest father in the galaxy. Very Good Idea: PB Bacon BEER Brownies... #WIN! Get the clever recipe and start baking a batch NOW! Warning: Resist the temptation to eat the batter before baking. Warmest regards to you and yours always!